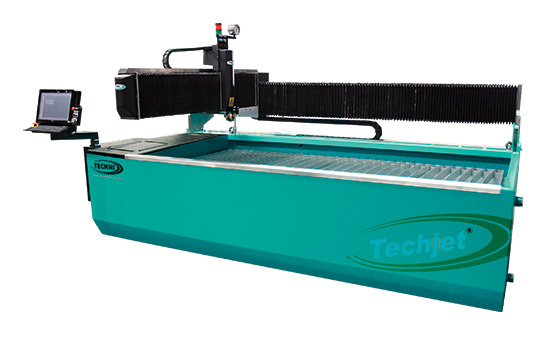 TECHNI WATERJET cutting machines are easy to operate, reliable, accurate and will last beyond customers’ expectations. Their machines incorporate unique features that have been developed and implemented through R&D. They were the first company to incorporate a Crash Sensing Break Away Head. TECHNI is the only waterjet manufacturer to offer an MPG feed. The PAC 60 is the most advanced 5 axis cutting head available in the World of Profile Cutting Machines. Ready to work with Metalworking Technologies? Send us your basic information to get started on a quote!